Captain Gilles Poirier on the bridge of the supply ship Horizon Star. For the past two decades, work in the oil and gas industry has taken Gilles Poirier all over the world. That has meant a lot of time away from home for the Cheticamp native, who now lives in Halifax. “I was at sea when my wife called me and said our son had taken his first step,” Poirier recalls. Poirier’s son is now 12, and he’s able to spend more time with his dad these days. That’s because Poirier plans to work in Nova Scotia’s offshore this year on BP’s Scotian Basin exploration program. Today he’s the captain of the Horizon Star — a supply ship that has a contract to provide standby services during BP’s proposed drilling project. The program is scheduled to begin in the coming months, if it receives approval from the Canada-Nova Scotia Offshore Petroleum Board (CNSOPB). Horizon Star is in Halifax preparing for BP’s proposed Scotian Basin exploration program.The CNSOPB is the independent board that ensures the safe, responsible and sustainable regulation of oil and gas activities in Nova Scotia’s offshore. The board has more than 40 people with almost 300 years’ experience in health and safety, environmental protection, engineering, and many other fields. A few of these experts visited the new vessel this week.Horizon Star arrived in Halifax Harbour in late January. During exploration activity, the ship could be called on to help with subsea construction or repair work. The vessel itself shows the optimism that the people behind Horizon Maritime, the ship’s owner, have about the offshore oil and gas industry in Atlantic Canada. Horizon Maritime launched in the spring of 2015 with operations in Halifax and Mulgrave, N.S. ; St. John’s, N.L. and Fort McMurray, Alta. The company provides services in crewing, vessel operations and management, and logistics in various regions of Canada and beyond. Steve Widmeyer, the startup’s executive vice-president, says he and his colleagues quickly recognized an opportunity to expand their business. Horizon Maritime officials remain optimistic about the future, including the prospect of more offshore work here in Nova Scotia. Demand for services increased, and vessels were also more readily available after the 2009 global economic downturn. They found the ship — a brand new one — at a yard in Norway. 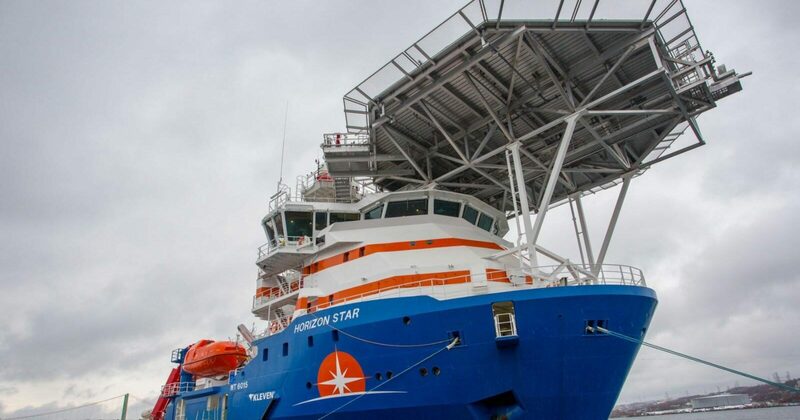 Since being acquired last year, Horizon Star has worked in Newfoundland’s offshore. St. John’s has been its home port since the fall. 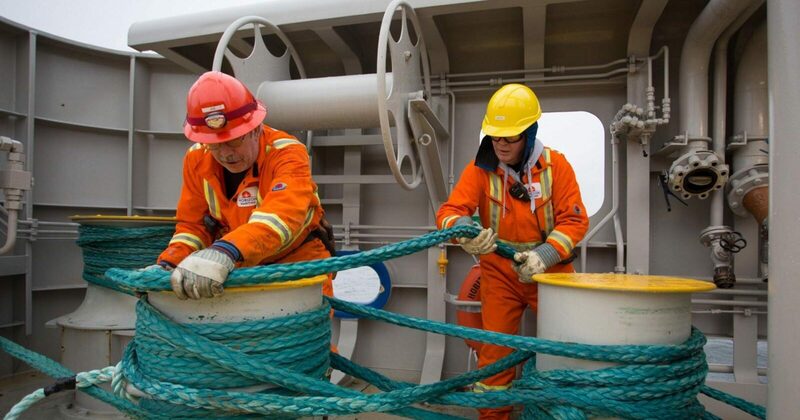 Deckhands Joe Power and Sergi Chernenko adjust mooring lines. Both men live in Nova Scotia.“It’s a great vessel,” Widmeyer says of Horizon Star. “It’s like a Swiss Army Knife.” Company executives and ship’s crew members use that phrase a lot to describe the 102.8-metre supply ship. That’s because the vessel is equipped with features that are unique among Canadian-registered offshore ships. Over the bow is a helideck designed for the latest offshore helicopters to land. Above the stern rises a 150-tonne active-heave crane for work being done at ocean depths of up to three kilometers. Nearby is room for a pair of remotely operated vehicles. The ROVs can be launched or recovered via a hatch, called a moon pool, on the rear deck. 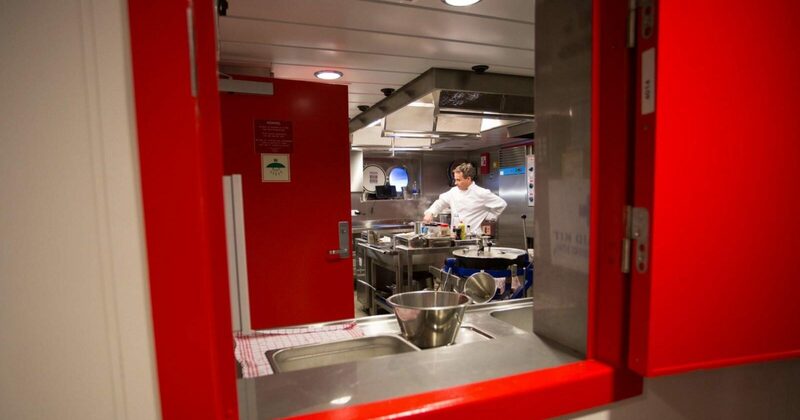 Chef Peter Kennedy, a Nova Scotia resident, prepares a meal in the galley. The majority of the 24-member crew for the upcoming job are Nova Scotians, along with some Newfoundlanders. When Horizon Star is working in Newfoundland, the number of personnel from that province increases. Besides working close to home, Horizon Star crew will also gain new experience and skills on the vessel, Widmeyer adds. Among them is Poirier, who guided the vessel to its new home from Europe last year. “Everything is state of the art, and the crew is the best crew I’ve ever had.”He joined Horizon Maritime when it launched two and a half years ago. Poirier can even boast that he’s the company’s first ship’s captain. 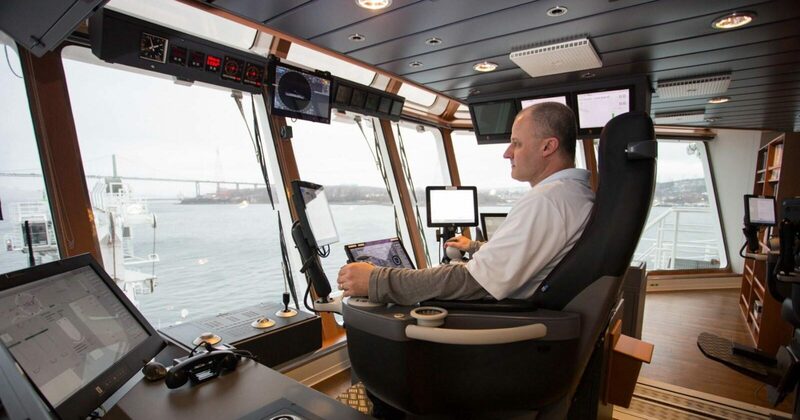 When asked about the vessel, he calls Horizon Star “amazing.”“Everything is state of the art, and the crew is the best crew I’ve ever had,” the captain says. When Poirier’s not on board this winter, he’s able to join his wife at their son’s hockey games. That’s something the captain didn’t do very often when working in places like Brazil, Saudi Arabia or Australia. More work here means more time at the rink with his family. Over the bow is a helideck designed for the latest offshore helicopters to land.